Smart thermostat technology enables users to control their home’s temperature remotely from a Smartphone, tablet or desktop computer using the home’s Wi-Fi connection. This ability gives homeowners greater control and convenience, allowing them to adjust their home’s temperature from anywhere and also program the thermostat to automatically adjust while they’re away. 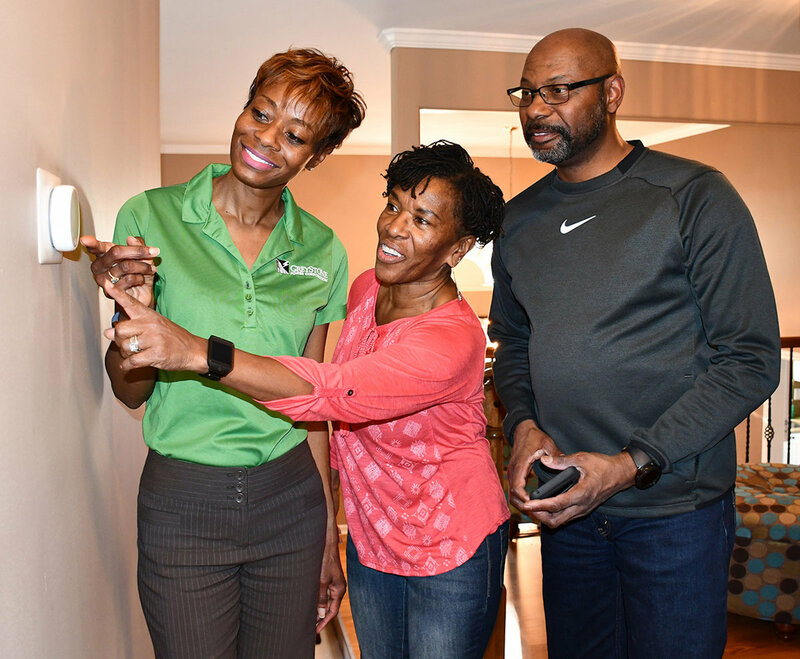 GreyStone members Cecil and Jeanette Perkins installed two ENERGY STAR smart thermostats in their multi-level home last September. 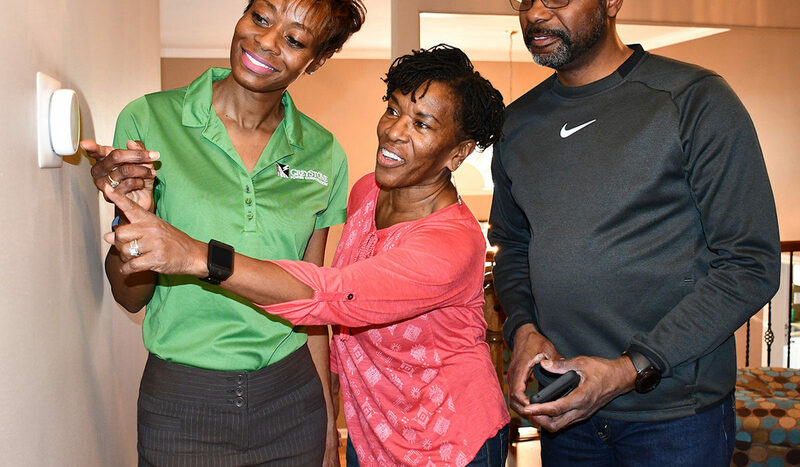 The couple, whose home uses both gas and electric, has saved an average of $50 per month on their power bills and around $50 per month on winter gas bills. Results and savings vary for members based on many factors. 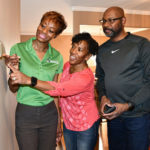 “A smart thermostat is cost-effective, convenient and easy to use,” says Jeanette Perkins, noting that before installing the smart thermostat, regulating the temperature in different areas of the home was difficult. Now, a sensor installed in the bedroom assists the thermostat in accommodating the temperature their preference. “We also love that with just the push of a button, we can set our thermostat from wherever we are in the house or adjust the temperature when we’re away from home,” she adds. Once a GreyStone member has purchased and installed the ENERGY STAR smart thermostat, requesting a rebate is easy. The member simply completes the smart thermostat form found online at greystonepower.com/rebates. An inspection for verification of the thermostat is scheduled once the form is received, to be completed within 90 days of purchase/installation. 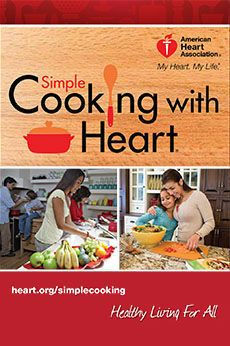 Qualifying thermostats can be found at www.energystar.gov. GreyStone Power states that proper installation, operating and performance of smart thermostats are the sole responsibility of the member.